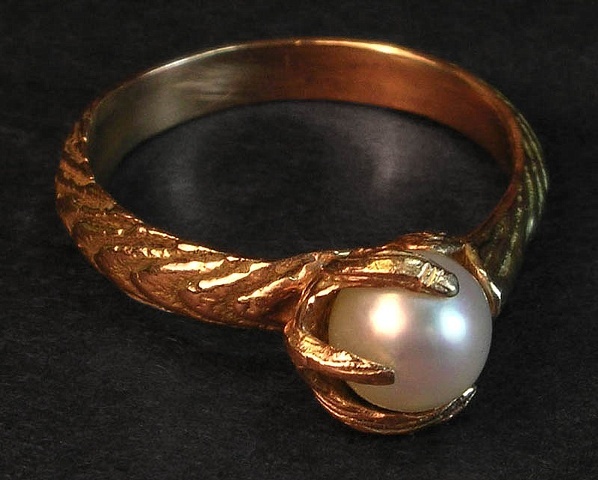 I made this ring for myself using a pearl brought from Japan in the early 1900's by my great Aunt and I melted down several old rings to cast into the cuttlefish bone for the band/setting. I had not exact plan in mind when I started working ...the ring kind of made itself. I wore it on my wedding day. I later had the ring molded and cast multiple waxes which I then reworked and re-sculpted into the models for my "claw ring" series".